Happy first day of summer! I just did a product review and recipe featuring Clayton's Organic Beef over on Potluck, ShopRite's blog. 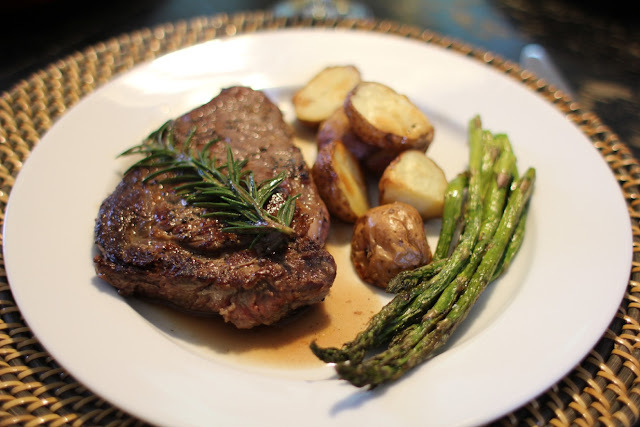 Although I cooked the steak indoors, this recipe can easily be adapted for the grill. Hop on over to Potluck and check out the recipe. If you live in the Mid-Atlantic region, you can buy Clayton's Organic Beef at your local ShopRite. I received Clayton's Organic Beef compliments of ShopRite. I am a contributor for their blog, Potluck. All opinions are my own and Keeley and ShopRite go way back... as in, before the days of blogging.